RV Care, Canada's largest RV Dealer Network is excited to introduce its exclusive line of travel trailers to the Canadian Market. Our Camping Simplified concept really says it all with 5 different floor plans, loaded with convenient and innovative features that will be sure to fit your family and budget needs. 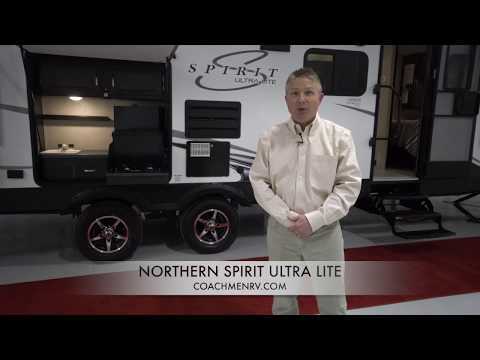 The all new Northern Spirit travel trailer is the most user-friendly Ultra-Lite on the market today. Discover an Ultra-Lite Travel Trailer, with convenient and innovated features for everyone in your family to enjoy. 1 Year Roadside Assistance is included with every Northern Spirit.